We had another excellent lunch at Shirley Lang's recently opened Boutique Bistro at 638 Fisgard Street. in the Ambrosia Event Centre. 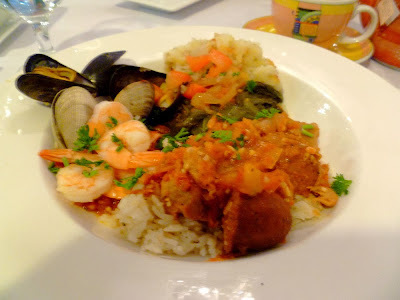 Today we had Sweet Spicy Smokey Chilli and Seafood Stew. 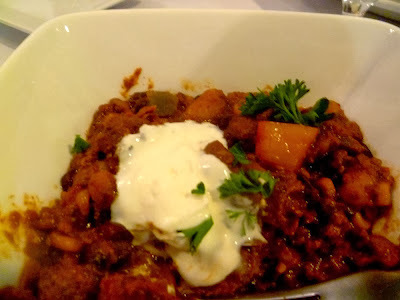 The Chilli was one of the very best we have ever had. I am not aware of any restaurant in Victoria that changes the menu every day, like Shirley does. Give it a try, you will be glad you did.